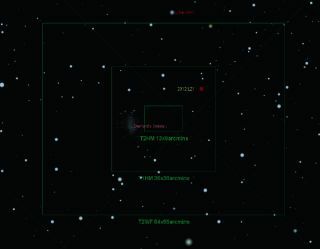 A look at where near-Earth asteroid 2012 LZ1 will appear in the sky on the evening of June 14, 2012. This story was updated at 3:30 p.m. EDT on June 14. That's what the team running the Slooh Space Camera thinks, anyway. The online skywatching service will train a telescope on the Canary Islands on 2012 LZ1 and stream the footage live, beginning at 8:00 p.m. EDT today (0000 GMT Friday) — the time of closest approach.